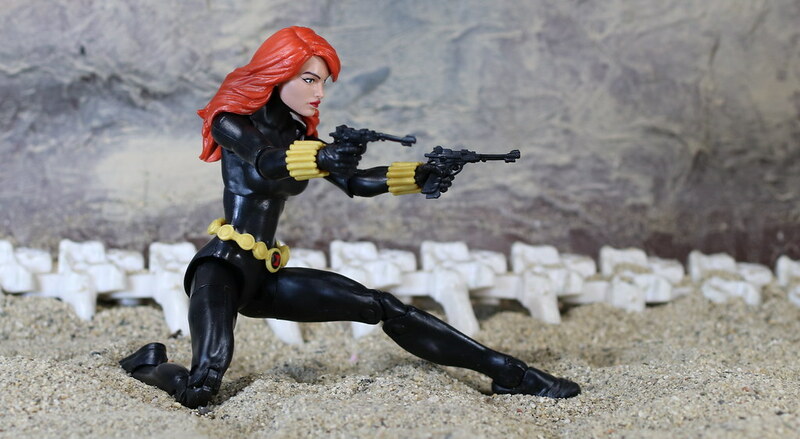 Finally we get a comic version of Black Widow. Mostly it looks like Mary Jane Watson in a black suit, but we get the point. It was a great head sculpt with fantastic hair, and the body was equally as good. So we should go with it for a while longer. She comes dressed all in black save for the gold belt and the matching bracelets. 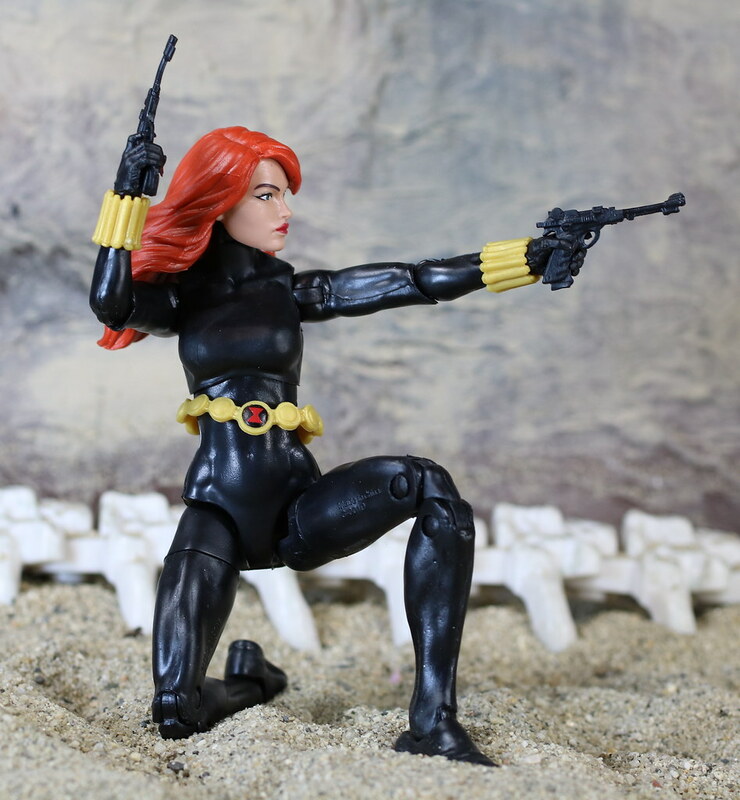 She comes with a pair of black handguns that we have seen before. Most recently we have seen a silver version used by Bullseye in the Man-Thing wave (that I have not yet reviewed but have photographed, so they are in the queue to drop soon). This is a pretty plain figure, but she is a solid one. She has great movement in her articulation, and she is well sculpted. An all around great figure. The wave is 6 figures. Most are a skip for me, but I was so happy I lucked into finding Natasha on the peg at my local Toys R Us. The rest of the figures are a repaint of Punisher, a repaint of Spider-Man, a Repaint of Captain America, a re release of gaijin Wolverine, and a partially new Iron Man. I will keep my eyes out for the Iron Man, since you can never have too many Iron Men, but the rest of the wave is a pass for me, unless I luck into a good deal somewhere. This is a case where I am glad there is no Build-A-Figure in this wave, since I am not too excited about 3/5 of the wave. The women of the Marvel Universe continues to grow, and they are looking great. Hasbro has continued to do a great job of bringing better body sculpts, nice sized feet for standing, and great head sculpts. Though they are still a bit hit and miss with the hair, for the most part, they have gotten that down too. This is a great figure to add to my collection.